Your support has a direct impact on the vitality of Umpqua Community College. Your gifts of all sizes play a major role in providing affordable and accessible education and maintaining excellence in teaching and student support. We match your interests with the strengths and funding opportunities of UCC. Together, we can strengthen our communities and continue to serve the region through our skilled graduates, innovative faculty and staff, and in-demand career and technical programs. Public resources alone are no longer sufficient. To fulfill our mission and to meet the needs of the students, families, and employers UCC serves, we seek partners among businesses, foundations and individuals who understand the transformational value of an Umpqua Community College education and are willing to invest in that work. Investments in the Umpqua Community College Foundation support economic development, workforce development, and our community's quality of life. Please join us and make a gift today. A cash gift in the form of a check or credit card transaction is the simplest and quickest way to support UCC. Gifts can be made as one time gifts or as monthly, quarterly, or annual contributions. One of the most beneficial ways to make a gift to UCC is to donate securities, including stocks, bonds, or mutual fund shares. These gifts entitle you to an immediate income tax deduction. Your life insurance agent can discuss with you the types of insurance gifts you can make. Insurance gifts can benefit you and UCC in many ways. You can make a substantial gift with modest premium payments, or it's a good use of paid-up policies that are no longer needed for family members. You may also name Umpqua Community College Foundation as a beneficiary of a portion of your life insurance policy. For additional information, visit our webpage on Gifts of Life Insurance. You can give private, commercial, or agricultural property to the Umpqua Community College Foundation. We prefer that you contact us during the early stages of your planning so we can jointly decide the best use of the property by the Foundation. For additional information, visit our webpage on Gifts of Real Estate. You can list UCC Foundation as a beneficiary of your IRA, 401K or 403B. Ask your plan administrator for the proper paperwork and send a copy to UCC Foundation. For additional information, visit our webpage on Gifts of Retirement Assets. You may include a gift to UCC Foundation in your will or trust. Work closely with your attorney to make UCC Foundation a recipient of a future gift. Please notify UCC Foundation of the gift. For additional information on wills and bequests, including bequest language, visit our webpage Learn about Wills and Bequests. By transferring assets to the Umpqua Community College Foundation to establish a trust, you or a beneficiary receive a lifetime income. Eventually, the remaining assets of the trust pass on to the Foundation. This gift works well if you need income now. This is appropriate for gifts of $50,000 or more. For additional information, visit our webpage on Charitable Remainder Trusts. If you deed property (a house, summer home, farm home, etc.) to the Umpqua Community College Foundation, you and/or your spouse retain the right to live in the house for the remainder of your life. You also receive an immediate income tax deduction for the gift. The Foundation will most likely sell the property when you or your spouse no longer need it. For additional information, visit our webpage on Life Estate Reserved. 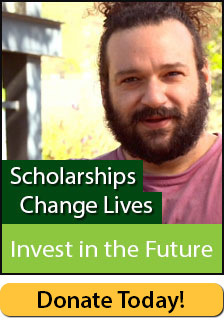 The Umpqua Community College Foundation is a 501(c)(3) nonprofit organization. Your contribution is tax-deductible to the extent allowed by law. No goods or services were provided in exchange for your donation.